This epic space conquest begins with an unfairly imprisoned genius, and culminates with a heroic space mission that brought the first man into space. This young aircraft designer, who years later would triumphantly lead humanity into space, was arrested on fabricated charges when he was 31 and sentenced to years of forced labor in gold mines. 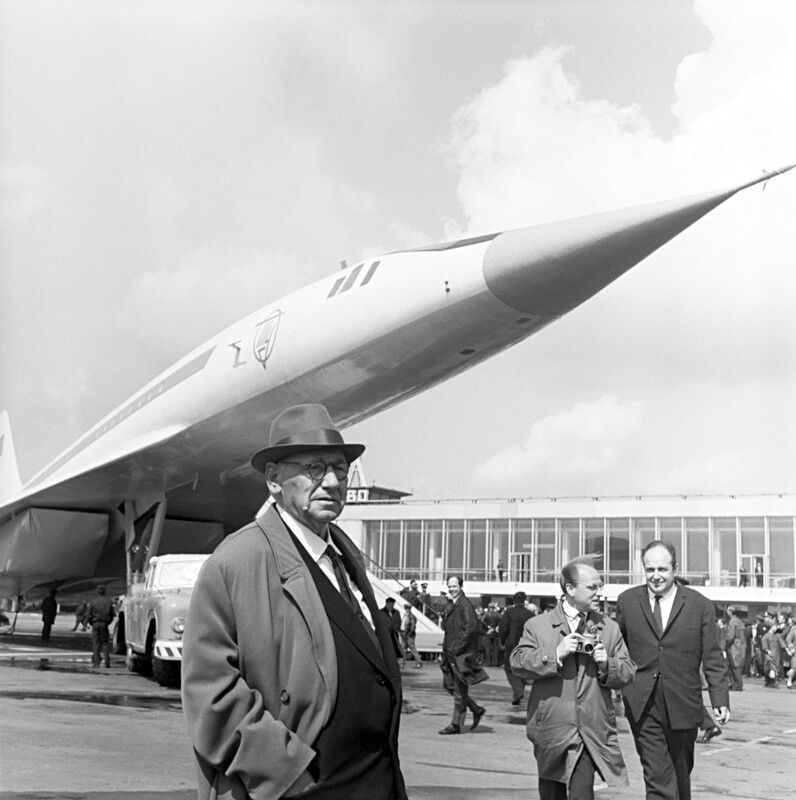 Fortunately, the future star of Soviet cosmonautics met Andrey Tupolev, a legendary engineer and aircraft designer who was imprisoned during Stalin’s purges, but who later was assigned to the position of General Designer of the Soviet aviation industry. For the rest of his term, the young engineer worked in secret design bureaus and achieved remarkable results. 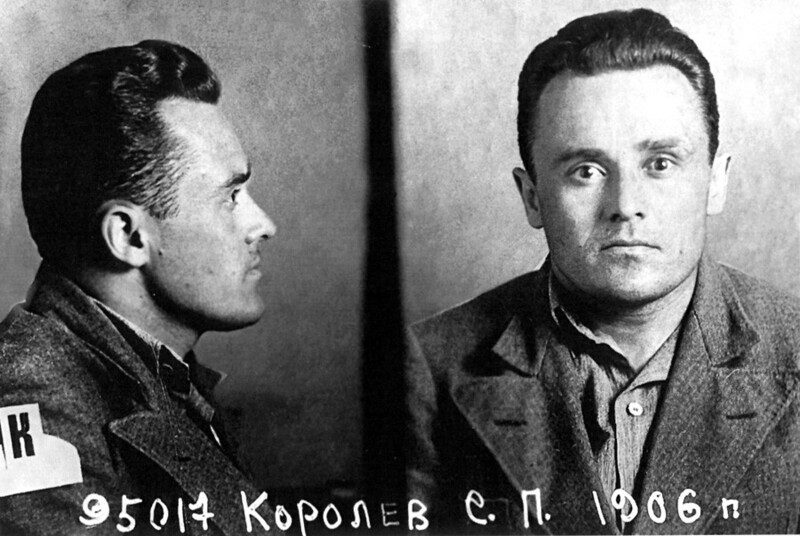 Stalin appreciated Korolev’s achievements because they were applicable in the military sphere and ordered his release from prison in July 1944, but the aviation designer was not officially rehabilitated. This is a V-2 rocket that the Germans designed near the end of World War II. 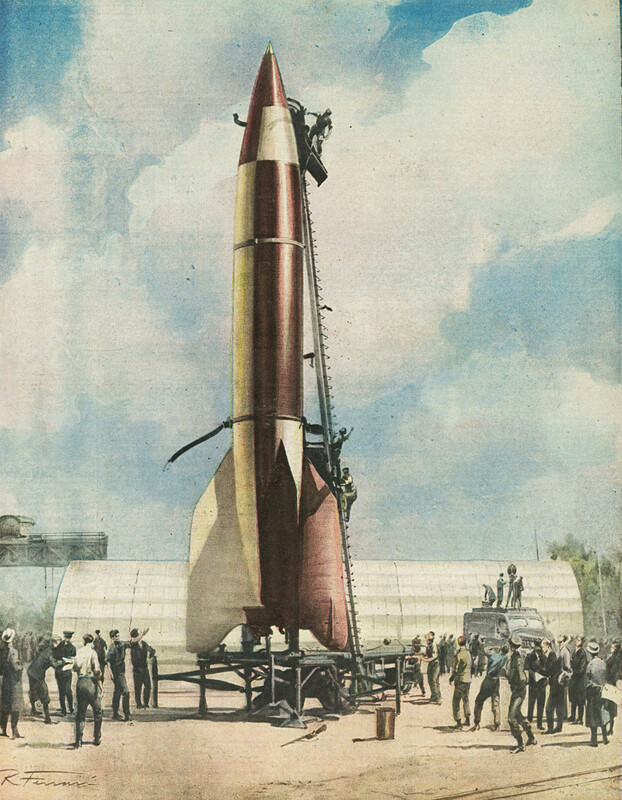 In August 1946, the Soviet government appointed Sergey Korolev as Chief Designer of the newly established Special Design Bureau № 1, and tasked him with designing a similar yet more powerful rocket with a longer range. 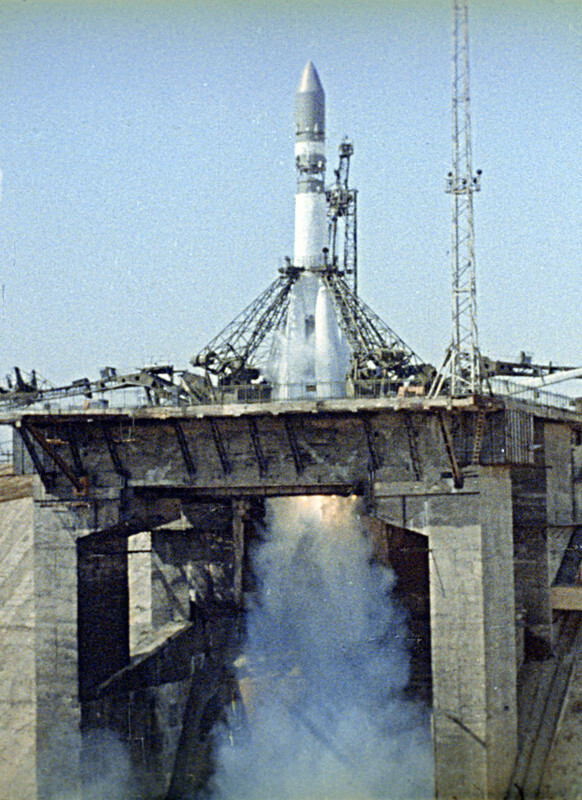 This rocket was Korolev’s revolutionary success. When the work was still in progress, he asked the Soviet government if it supported his idea of sending the first artificial Earth satellite onto orbit. They did. 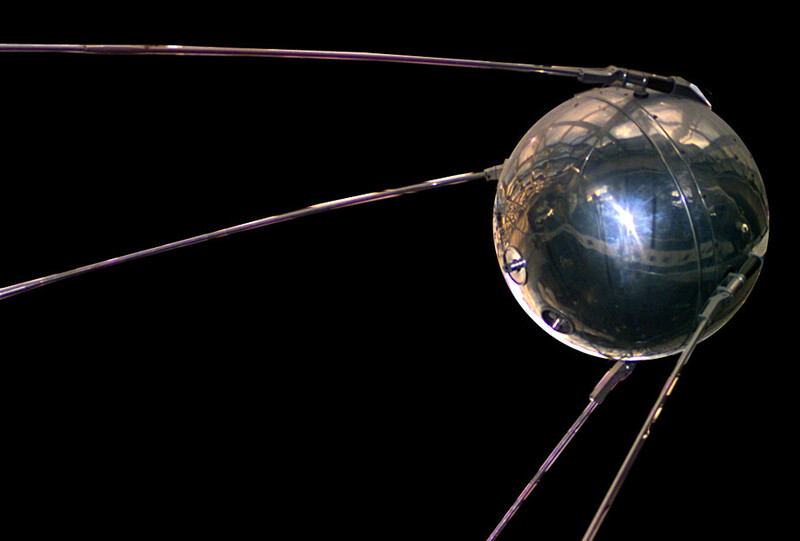 Sputnik 1 was Earth’s first artificial satellite, and the Soviets successfully launched it on Oct. 4, 1957. This unbelievable success established the USSR as the leading power in space exploration. 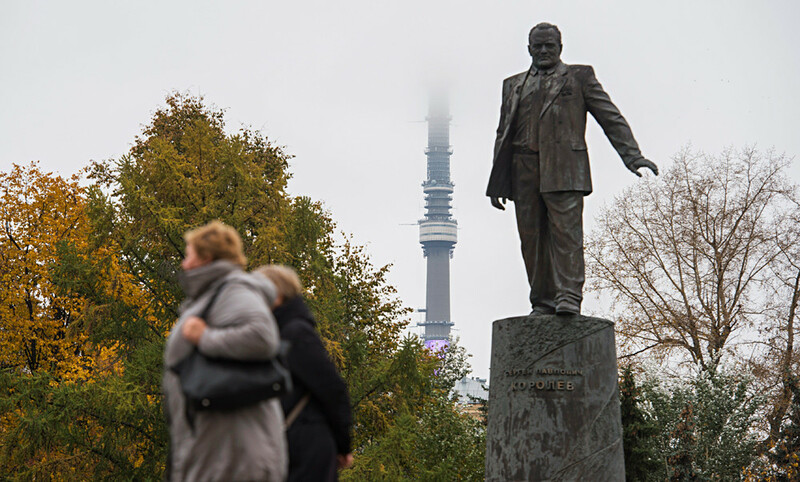 Numerous monuments celebrating Korolev started appearing only years later. 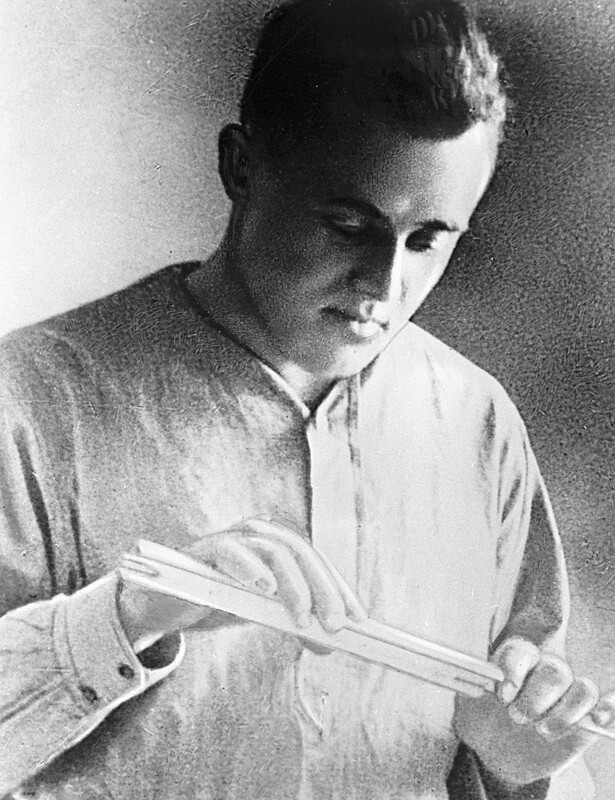 At the time of his first and most remarkable success in 1957, Korolev’s name was not publicized at all. This is a scheme of the Sputnik 2, a rocket that delivered the first living being into space. It was a dog. The hero-dog was named Laika, and legend says that the Soviet government preferred dogs over rats or monkeys because dogs were considered more likable. The authorities thought that the image of a hero-dog would beat the image of a hero-rat. Laika was taken from a shelter. It was a docile and calm dog, just what the engineers needed. 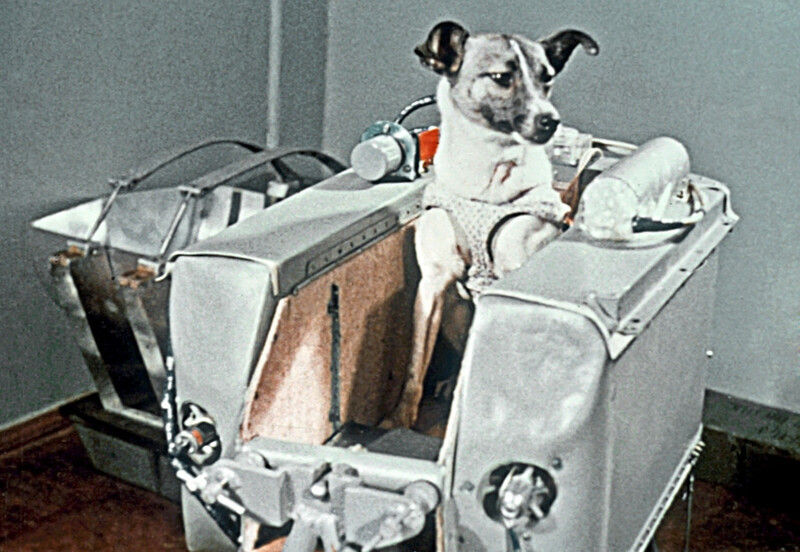 Humans did not plan for Laika to return to Earth, and the dog died after a few hours from overheating. Its death caused an public uproar in the USSR and abroad. 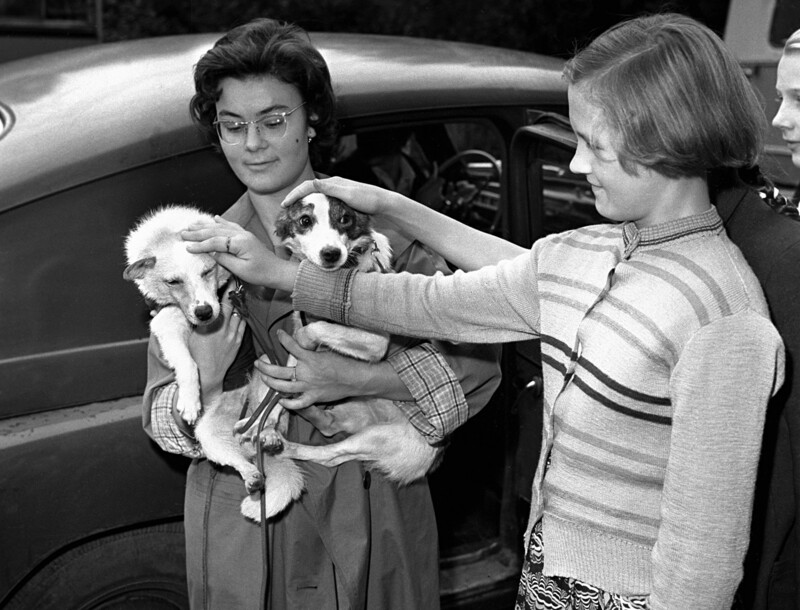 These two dogs are the famous Belka and Strelka. 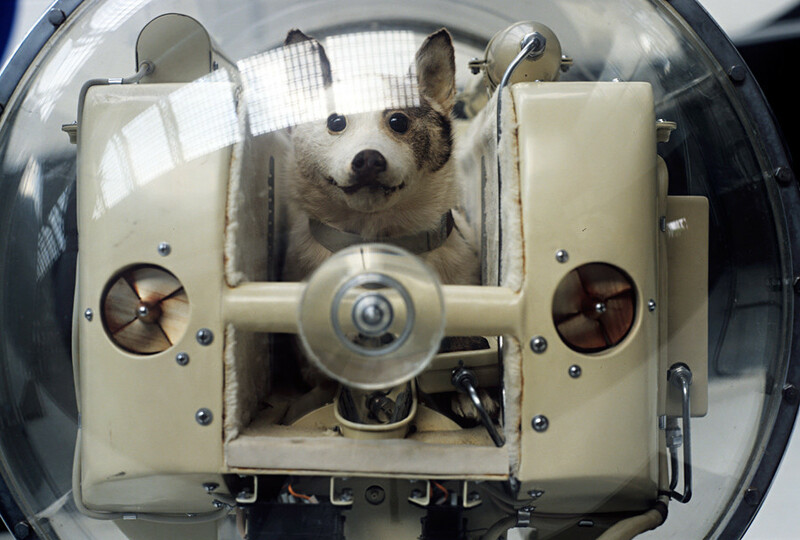 After the experiment with Laika, Soviet engineers needed to prove that a living being could be successfully returned to Earth from outer space. 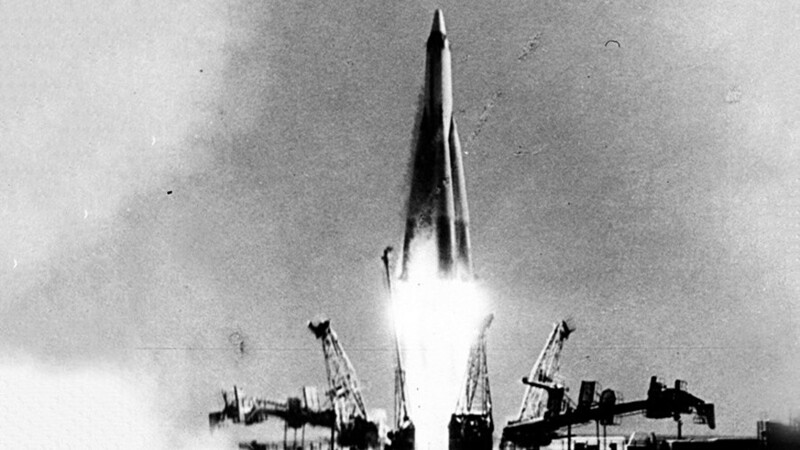 On August 19, 1960, a rocket carrying Belka and Strelka was launched into space. The dogs, nervous during the takeoff, calmed down when the rocket reached the orbit and stabilized. They breathed and ate normally and were successfully returned on Earth. Belka and Strelka made it possible to launch the first man into space. The Soviets, however, nurtured the bold plan much earlier. 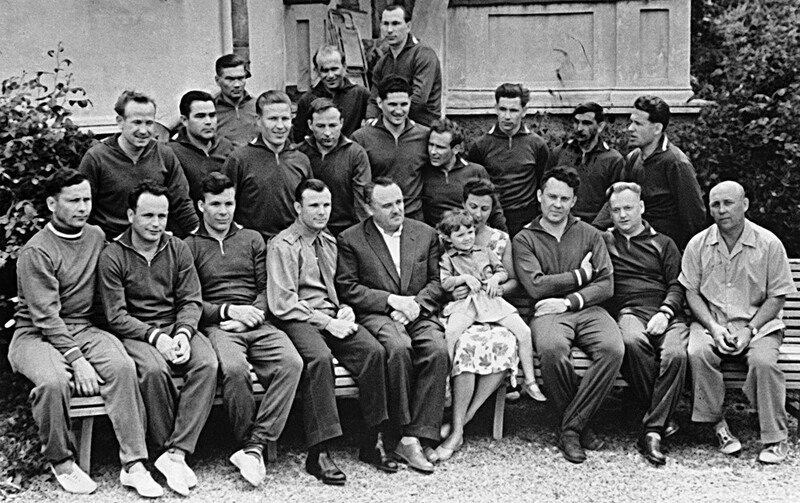 This photo shows the first group of Soviet cosmonauts trained for the first ever space launch. 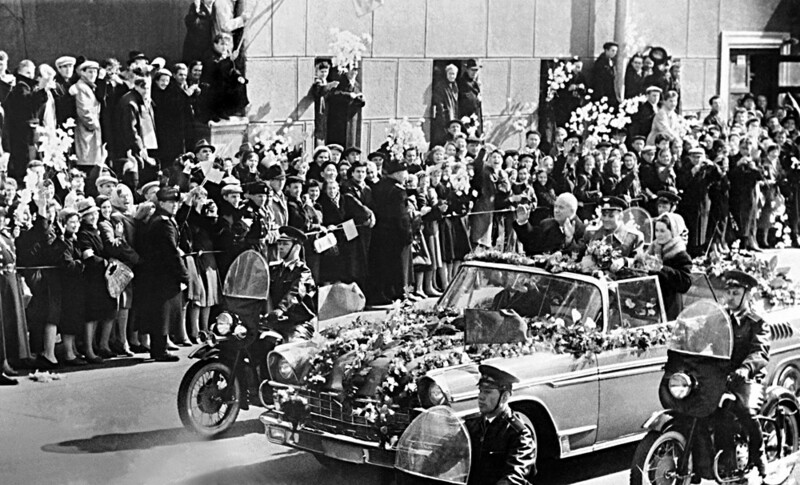 A group of aspiring cosmonauts are accompanied by Korolev. 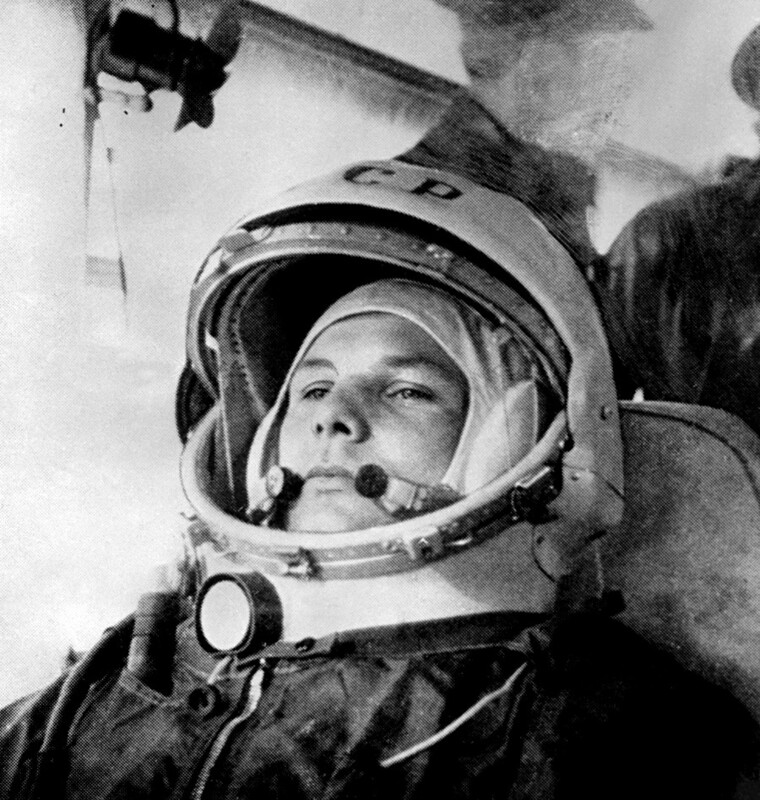 Out of six final candidates, a special government commission selected Yuri Gagarin, a 27-year-old military pilot, to lead the first manned space mission. Korolev and his team had to hurry up because the Americans were rumored to be planning to send a man into space and the Soviets could not let that happen first. 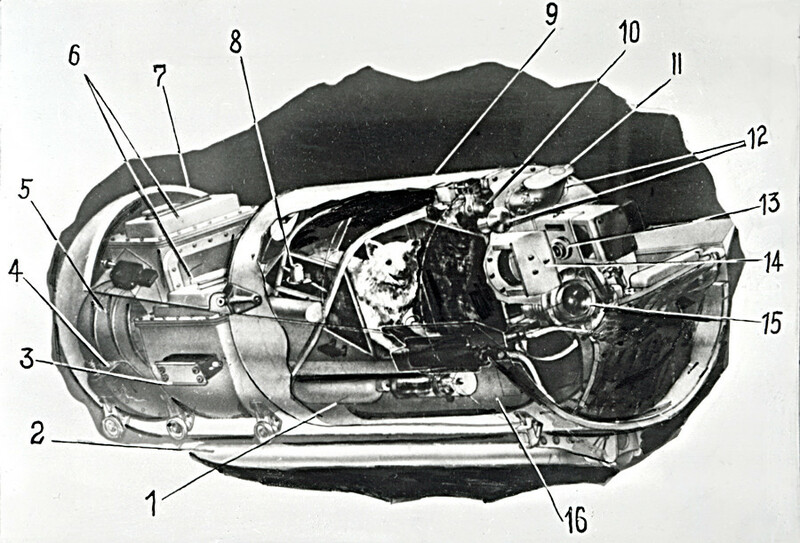 This spaceship, known as Vostok-1, was designed in a hurry and some systems were not sufficiently reliable. Still, Korolev and the young Gagarin took the risk. The whole world held its breath on April 12, 1961, as Vostok-1, with Gagarin onboard, started off from the Baikonur launch complex. The first human among the stars spent one hour and 48 minutes in space, and successfully returned to Earth despite a series of emergencies during the landing. 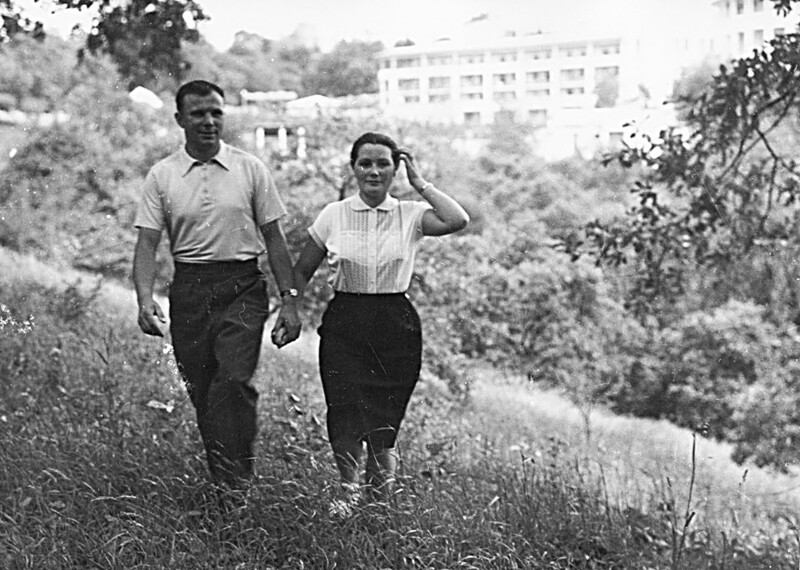 Returning to Earth, Gagarin instantly became an international celebrity and hero of galactic magnitude. His charismatic smile became a symbol of human triumph and achievement. Starting in 1961, the road to outer space was now wide open. 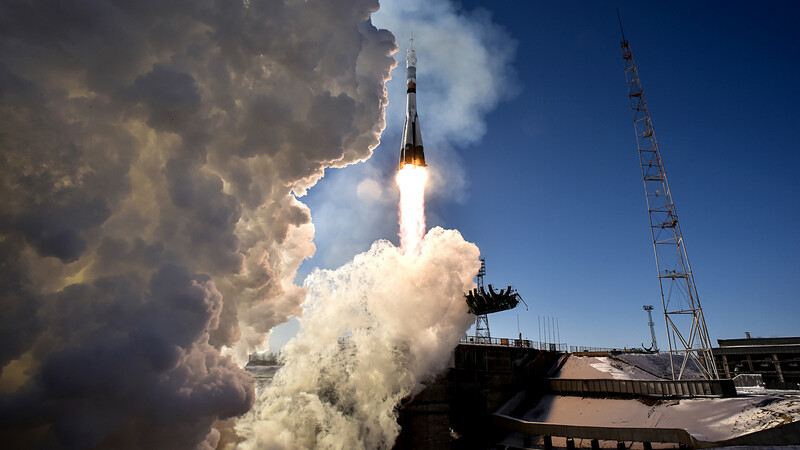 Click here to learn everything there is to know about Russia space exploration.